ICANN conferences provide the right kind of environment for conducting healthy business conversations to all players from the domain industry. 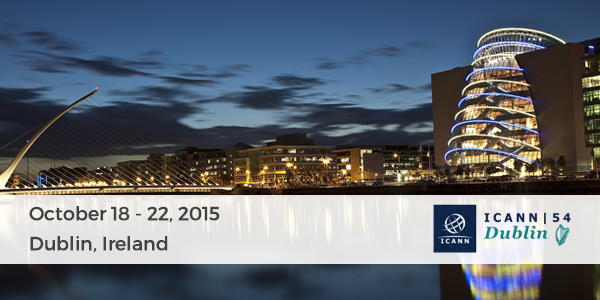 As an active stakeholder in the ICANN community, we’re really excited to be present at the conference. Siddharth Taliyan and Aditya Chauhan will be present at Booth #7 to discuss business growth strategies with New gTLD & ccTLDs Registries and ICANN Registrars. Along with them, Ravneet D Bawa and Tania Castelino from our Account Management team will also be present to meet existing partners. You can Schedule a Meeting with us right now or simply drop by our booth to say hi! We’re super excited about attending our first ever APTLD conference! Held twice a year, the APTLD community meetings provide a great platform to share information, learn & network. The conference will be held between September 8th and 9th at the Ritz Carlton Mega Kuningan in Jakarta, Indonesia. Stay tuned to our Facebook page for photos of the event! 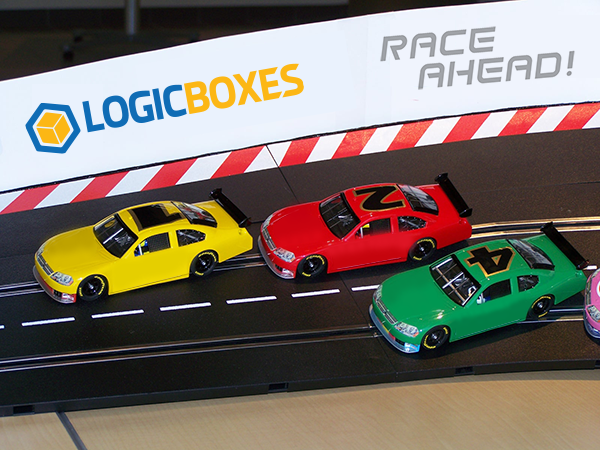 Race Ahead With LogicBoxes at HostingCon! After its 10 successful seasons up until 2014, HostingCon – the largest global Hosting event, is now entering its 2nd decade of bringing all the Hosting giants under one roof, in all its grandeur. 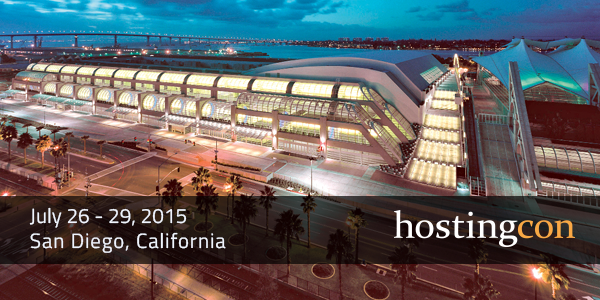 As is the case every year, the LogicBoxes Team is excited to be a part of HostingCon 2015 that is happening on 27th, 28th and 29th of July, 2015 at San Diego Convention Centre, California. At the event we are launching our American Partner Program – a solution that is tailor-made to suit pricing, support, scalability and new gTLD integration needs of Web Hosts. Siddharth Taliyan, Eeshaan Satwalekar and Abhijit Dara will be present at booth #701 to meet Web Hosts and share insights on business strategies to seize all the possible market opportunities which can further boost their business. We are also pumped up about our super-entertaining Slot Car Races that are sure to give you a thrilling experience, as you “Race Ahead with LogicBoxes!” Needless to say, winners of the races will be rewarded with exciting prizes. So do make sure to stop by at our booth, if you are attending. We look forward to meeting you at the event. See you there! After an exciting WHD.global conference this year, WorldHostingDays heads to North America with its first ever WHD.usa conference. 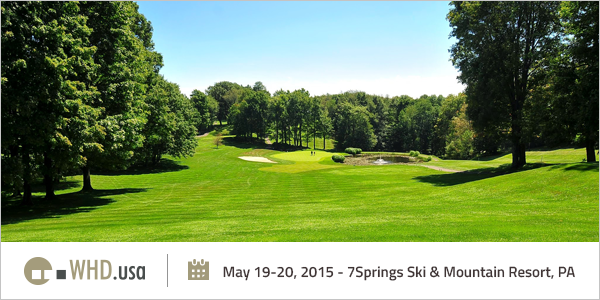 The event will take place on May 19-20 at the 7Springs Ski & Mountain Resort in Pennsylvania. The LogicBoxes team will be available at Booth #19 to meet Web Hosts and discuss strategies on how they can grow their hosting businesses. Having worked with industry leaders such as HostGator, UK2 Group, Sibername, Marcaria and others, we can share various useful insights and help empower you to take your hosting business to the next level. We also have some really cool schwag to give away, so do drop by to say hello! What’s more? “The Secret to a Successful Web Presence Business” will not be a secret anymore. Do not miss this most awaited talk by Eeshaan Satwalekar, Business Development Specialist at LogicBoxes, on the first day of the conference at 4:00 pm local time in the snowflake.Forum room. The session aims at giving you a checklist of action items that can be used to gauge the current effectiveness of your web presence business and the steps you need to strengthen it. Calendar this event to confirm your presence. Also, as a WHD partner, we can hook you up with free event attendance. Get in touch with us to get further information about free ticket codes. Catch us at HostingCon 2014 in Miami! HostingCon, the largest Hosting Conference in the Western Hemisphere, moves to Miami this year and we are very excited about it! LogicBoxes has been a frequent visitor at HostingCon, however this year is all the more special because it’s the 10th edition of the conference! The LogicBoxes team be available at Booth #125 to meet Web Hosts and discuss solutions to further grow their hosting business. Web Hosts can learn about LogicBoxes’ Elite Reseller Program – an offering designed exclusively for Large Web Hosts. You can schedule a meeting with us at the event in advance here. Also, Siddharth Taliyan, Sr. Manager – Sales at LogicBoxes, will be giving a talk on “5 Insights about New gTLDs that will give Web Hosts an Unfair Advantage” on the final day (18/06/14) of the conference at 10.00 am (local time). The talk will give insights to Web Hosts on how to make the most of the New gTLD Opportunity. It’s one of the most looked forward to sessions at the event and we strongly recommend you attend it. Add the event to your calendar to ensure you don’t miss it!